Wagons are a family affair for Steve Martin (pictured here with his daughter Jamie Nordell), his wife Patty and their three daughters. MORONI—If you’ve ever driven along Duck Springs Drive, you’ve probably had your eye drawn to Steve Martin’s home. While the house is unassuming, the many wagons surrounding it are not; they leave you wondering just what they’re doing there. 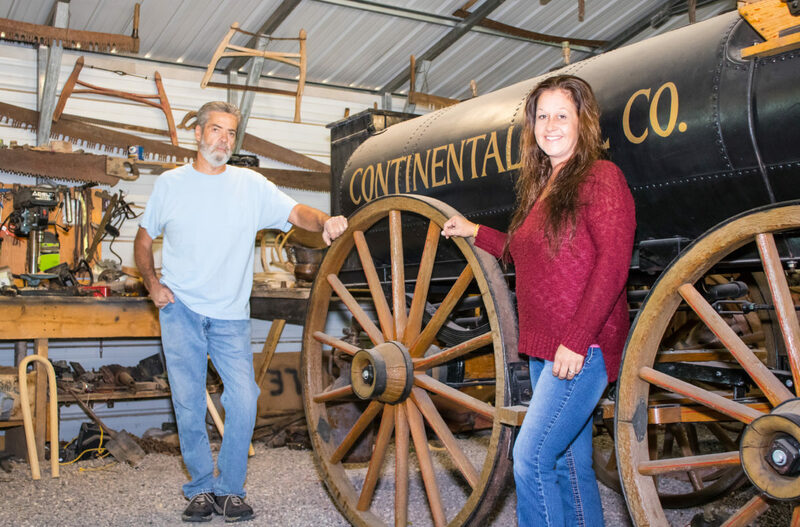 The wagons are a passion of Martin, who has been restoring these historical conveyances for more than 35 years. During that time, he estimates he has completed about 350. He has sold, traded or given away many of them but says he still has about 50-60 on his property. Since they were a good price, Martin bought the wheels and a couple of weeks later put pipes through them and made a wagon. It was the beginning of a love affair with wagons and all things antique; but, never a rich man, Martin had to feed his new passion slowly. “Every chance I got I’d buy another wheel. Then I started buying axles,” he said. Over time his collection grew. When he could finally afford it, Martin bought a complete wagon. Then, after a while he made a corral which he named “Wagon Way” (complete with a sign made by his daughter, Jamie, in woodshop) where he housed his growing collection. Over the years, he has traveled far and wide tracking down pieces of the machines. He likes to buy locally whenever he can, but says it’s difficult. So instead, Martin has roamed across various states including Colorado, North Dakota, Kansas and New Mexico looking for wagon parts. Fortunately for him, his wife Patty indulges his hobby and enjoys traveling with him to find the treasures. 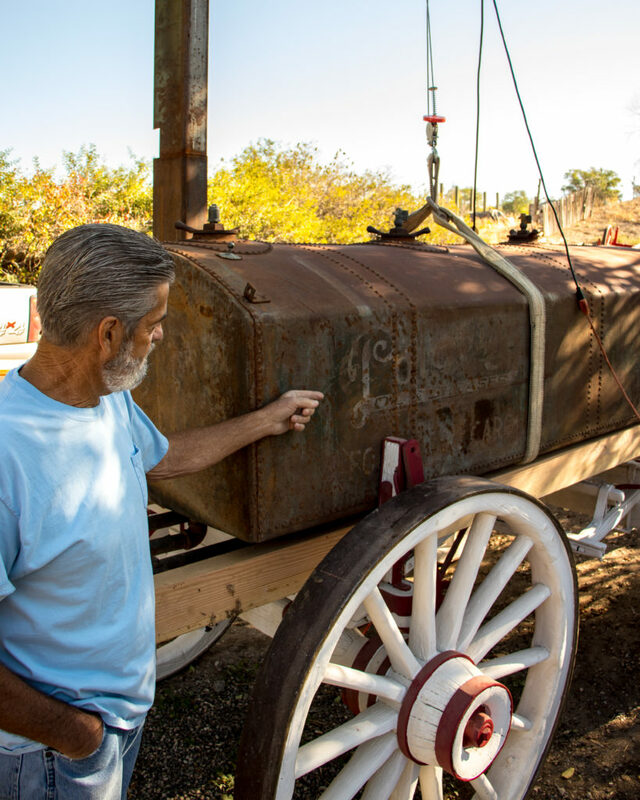 While Martin has had a covered wagon or two, along with some freight wagons, over the years, those he has found the most fascinating are old oil or gas wagons which these days are extremely rare. A humble, self-deprecating man, Martin has been surprised by some of the attention he has received. This summer, both American Pickers and Pawn Stars have called. The latter wanted Martin to load up some of his stuff and take it to them in Las Vegas, but the retired truck driver wasn’t interested, feeling it was too much work and expense to do so. As for American Pickers, he isn’t even sure what they wanted. Jamie took the call, and he never followed up with her, he was that disinterested; he didn’t want to take the chance of being put on TV and possibly being made a fool of, he said. He wonders how the TV shows even knew about him. It’s likely one of the many people who has come through Wagon Way called them. Martin says a week rarely goes by where someone doesn’t just stop by to see what he’s doing or to find out about the wagons. 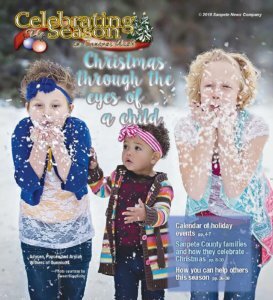 Along with the wagons, Martin has collected various antiques over the years—“anything old or cheap to buy.” He has decorated just about every inch of his garage and Wagon Way with them. One of his prized purchases was a stagecoach he bought from a woman in Colorado, but it wasn’t completely authentic, so last month he sold it to a restaurant owner. That’s where a lot of his wagons end up—as mood pieces for restaurants or as part of the landscaping on someone’s property. That’s okay with Martin, who always has several wagons around to work on. These days Martin spends about 10-20 hours a week working on wagons. Currently he’s got about 12 projects going. Most of his skills are self-taught. The restoration work is more a labor of love than anything. Given how much he spends restoring them and finding the needed parts, Martin doesn’t really charge a lot—an average of $2,000—when he sells the wagons. And it’s not big business by any means—he sells a wagon here and there, and says he sold a “bunch” a few years ago. But mostly it’s hard for Martin to let go of many of his treasures. 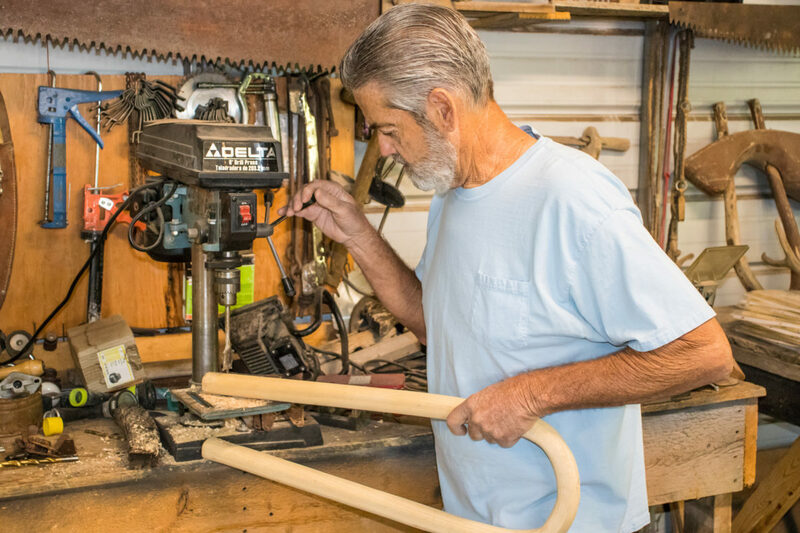 Although he held some yard sales last summer and had a good response, Martin doesn’t plan to quit the hobby he loves or to part with many of his wagons or antiques anytime soon. “I like to hang on to most of it. Once you get the fever, it’s over,” he says. Martin says his neighbors think he is crazy and want to know why he spends so much time and money on his wagons. But he knows they’d all love to own one—they just aren’t willing to spend a lot of money to do so. Instead, they spend it on their trucks. 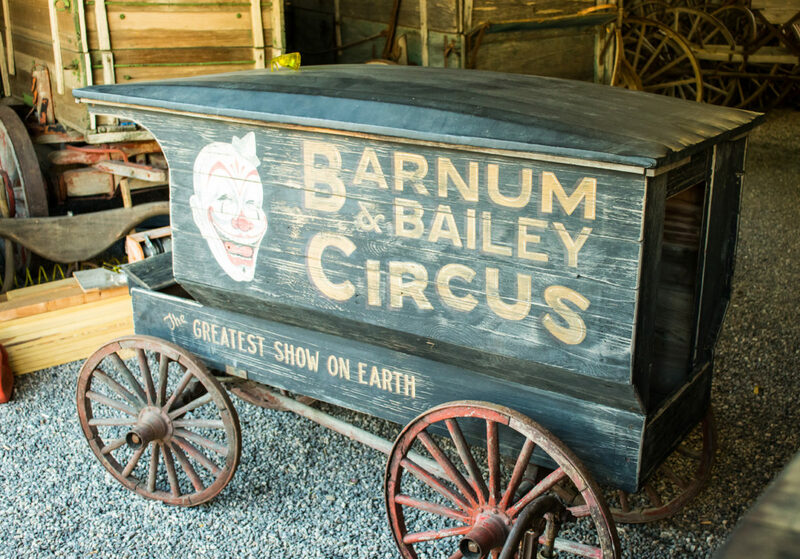 Steve Martin has restored several unusual wagons over the years including this miniature circus wagon. Steve Martin says he currently has 10 to 12 projects in the works including restoration of this wagon. 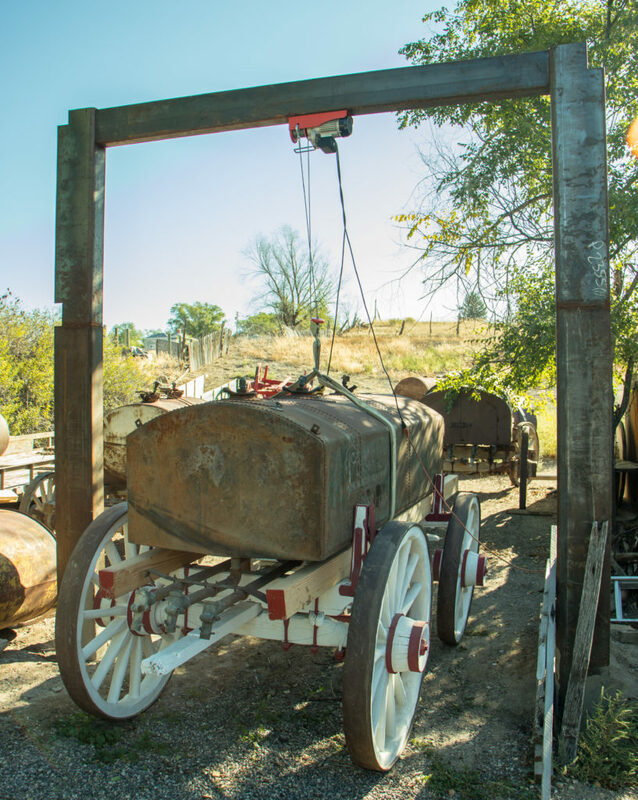 Although he has restored close to 350 wagons, Steve Martin says he is still not an expert. There’s always several ongoing projects at Steve Martin’s “Wagon Way.” The wagon pictured here is one of them. 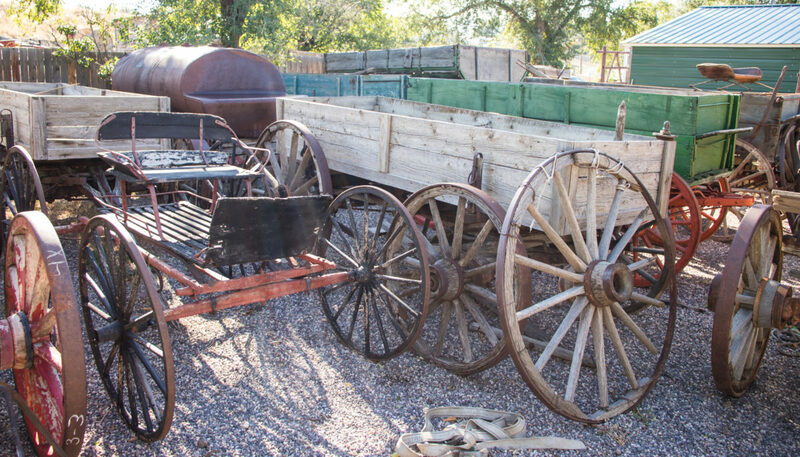 Steve Martin made a corral which he calls “Wagon Way” for part of his collection of old wagons.